The 2018 Audi Q5 represents the second generation replacement for the inaugural model first introduced in 2008. The long awaited replacement for Audi’s mid-sized SUV represents a complete retooling of the original model. Sharp-eyed onlookers will note the new slightly more angular sheet metal, however under the skin lies an all new vehicle down to the individual nuts and bolts. At the press presentation in Los Cabos, Mexico, the design team stressed the points they sought to improve on over the outgoing model. 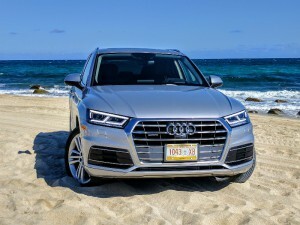 Bear in mind the previous generation Audi Q5 was not only Audi’s volume leader in sales but with 1.6 million units sold, was also the best-selling vehicle in its segment. Engineers pointed out the new vehicle measures slightly longer overall and comes with a longer wheel base, as well as more shoulder and legroom in the rear seat. As with most new Audi’s introduced, weight loss is a core concern. The 2018 Audi Q5 sheds up to 90 kilos over the outgoing model. Under the hood a reworked 2.0L four cylinder turbocharged engine is the only engine option for Canadian markets. The latest version of the turbo four cylinder engine churns out 255 HP and 273 lb-ft of torque, an increase of 35HP and 15 lb-ft of torque). The engine is mated to a 7 speed dual clutch, S-Tronic transmission. The other big news for the Q5 is that models equipped with 2.0L turbo will be fitted with Audi’s newest version of their legendary Quattro all-wheel-drive system, Quattro Ultra. The Quattro Ultra technology was designed to save on weight and fuel economy. A good portion of the 90 kilos shed on the Q5 scales have come from the application of the Ultra system on the four cylinder models. 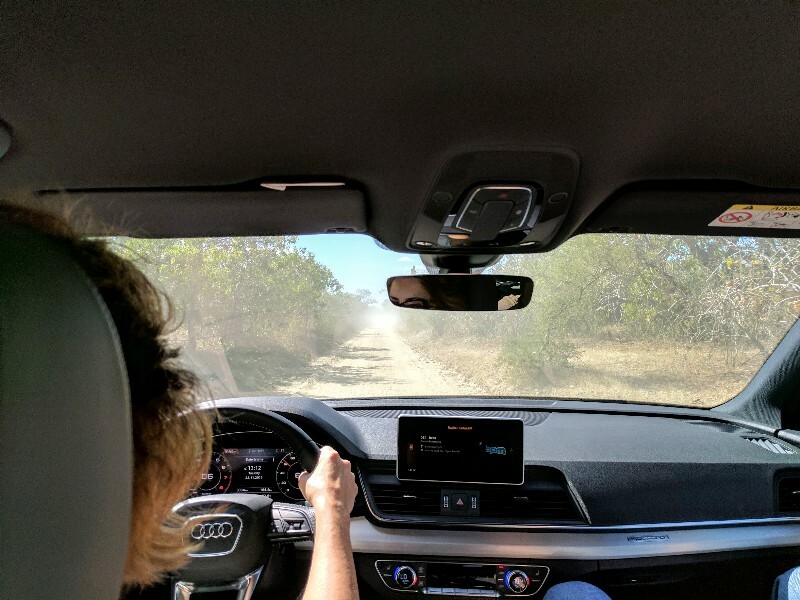 Quattro Ultra equipped vehicles would prefer to operate in two wheel front wheel drive mode until called upon to apportion power to all four wheels. In truth the system is more complex than that. Rather than simply wait for wheel slippage, the Quattro Ultra system starts off, from a standing stop in all wheel drive and then disengages the rear wheel drive shaft, unless it senses a loss of wheel traction, friction or the rate of steering angle input dictates it. A nifty tablet app linked to our test vehicle displayed the frequency of front wheel vs all-wheel drive usage during varied drive routes. In the City, the Ultra Quattro system defaults to all wheel drive from a stop and use increases due to the number of turns encountered. With the driveshaft disconnected and running in front wheel drive mode, engineers figure the system saves on average 0.3 L/100 kms of fuel. Inside the cockpit, Audi has once updated the drivers control cluster with its class-leading Virtual Cockpit customizable TFT LCD instrument cluster. An 8.3 inch LCD screen tied to the multi-media interface system, sits atop the dashboard, between the driver and front passenger seats. An improved suite of driver assist technologies includes a traffic assist feature that essentially controls throttle and braking in city driving at speeds up to 65 kms/hr. Although the cabin appointments are clearly tweaked upmarket, fans of the Teutonic masterpiece designs from earlier Audi’s, will quickly feel at home in the new Audi Q5. As this event was an International launch, we were able to drive a number of different models back to back, including models not currently slated for Canadian markets. An optional air ride suspension, which won’t be available on Canadian models, is noticeably smoother and more responsive, however the base suspension will please all but the most critical. While Audi will make Q5’s equipped with 3.0L V6, 2.0L TDI and 2.0 TFSI engines, Canadians will only be offered the 2.0L TFSI engine. Rumours of a 3.0L V6 SQ5 coming to our shores, have yet to be confirmed. 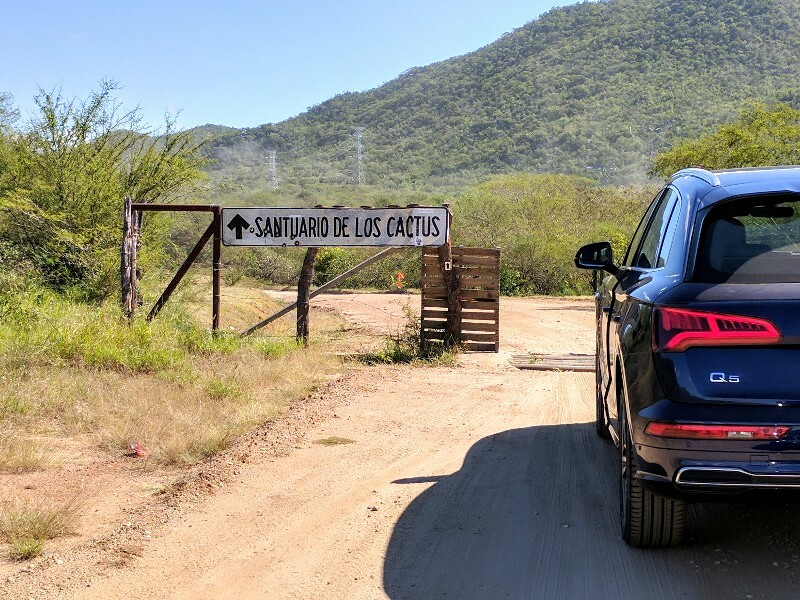 As for these North American built Q5’s, having driven through the southern Baja peninsula, over a variety of road surfaces including some brand new pavement, cobbled stone streets and even dirt roads, each vehicle was devoid of any rattle or excessive road noise. Fit and finish were up to Audi’s typical stellar standards. Look for the 2018 Audi Q5 to arrive in dealer showrooms sometime during the second quarter of 2017. Pricing has yet to be confirmed.